The portraits I've selected below are my "best of the rest". These are entries to the BP Portrait Award that didn't make it through to the final 53 of the BP portrait Award - and the exhibition (This is my my invitation to the "best of the rest" - of those not selected). However some made it past the digital stage and were one of the 439 that got in front of the judges. Of those some of the portraits below also made it all the way through to the penultimate judging of the last 209 paintings. It was interesting doing the selection process. It was very easy to discard some and very easy to say 'definite' to others. The difficult part is deciding the ones that came in the middle. I did my selection without looking at all at the copies of the competition emails that the artists had to send me to demonstrate they were genuine entries. These indicated at which stage the painting got to. For those who made it through to the last two stages I've indicated this under the portrait. It was really interesting to see the extent to which my choice coincided with that of the judges! I've commented on each portrait and indicated what I liked and what aspects caught my eye. At the end of this post I've set out some learning points derived from the process of looking at the digital images of the portrait paintings submitted - which after all is the way the initial selection is made. I hope any aspiring BP portrait painters find tribute to the those who didn't quite make it useful - and if you do, I'll repeat it next year. So do please let me know what you think about the process. The first five for me were out in front - as reflected by my comment in the caption. 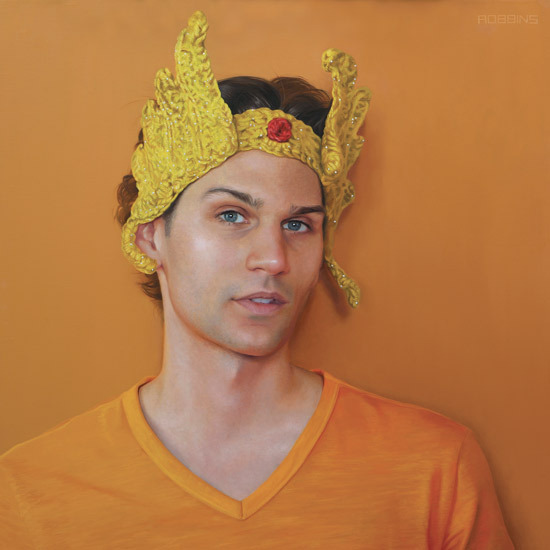 Justin's style is hyper realist. 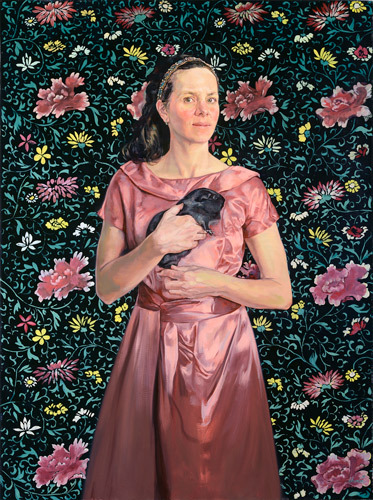 It's the type of painting we often see in BP Portrait where each hair and skin pore has been lovingly portrayed. It's a very good portrait - because that angle is far from simple. My guess - and it is only a guess - is that the 'thing' at the top left corner is very probably what excluded this portrait from the final cut - which would be a real pity if this is what made the difference. When you're having to choose between paintings you like a lot, it pays not to give the judges something to dislike! That or the fact we always get a fair few hyper-realism paintings in the BP and hence the competition is strong and only the very best make it through. As I commented about the last painting, there's always going to be stiff competition for the paintings which are heavy on the realism. This one reminds me a bit of Alan Coulson's painting of Ritchie Culver the chap with the cool beard - but a little more aged! 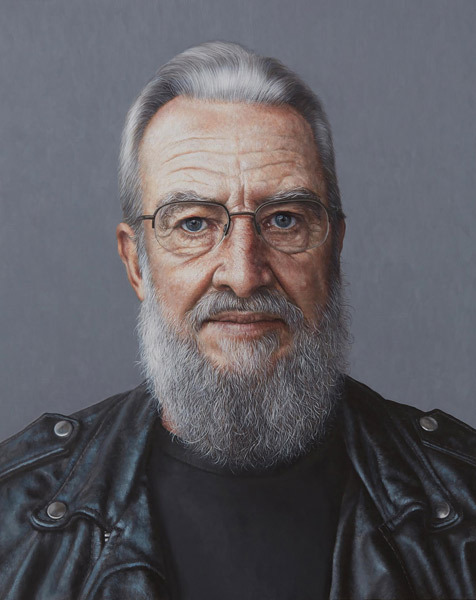 I thought I recognised the style and the quality and I was right - Frank has a painting in the BP Portrait Award 2015. He's got a very strong body of work on his website. Alessandro Tomassetti is classically-trained in Fine Art and unclassically-trained in everything else. He recently moved from Los Angeles to Barcelona where his work continues his exploration of the analogue world: pencil to paper, Polaroids and hand-drafted patterns. He loves Caravaggio, the Smiths, Lanvin and the Real Housewives. I like this one because of the composition, crop and posture and the handling of the light - dappled sunshine - which is far from easy. It's a good painting! Julie has a bit of a reputation for portraits of children in dappled light and I know of at least two which have been previous prizewinners - although not in the BP. Julie Douglas is based in Ireland and runs workshops and regular drawings and painting classes. There's no question - as with photographic portraits red hair always catches the eye. It's what made me look closer at this one. I like the composition vertically although I'm not so certain I go with the horizontal crop. Plus I know the bulk of this must have been done from a photo as that is not an easy pose to hold for any length of time - and the BP Portrait does like to see evidence of painting from observation. Having said that it's a very nice portrait of a child. 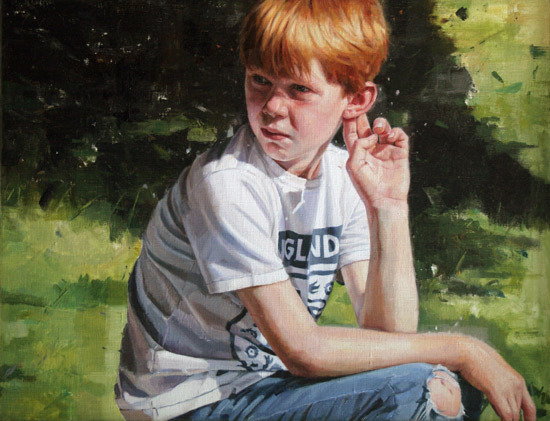 Makes me think Rupert Brooks will go far doing portrait commissions for parents! I'm a big fan of portraits of groups of people - I sometimes think portrait painters will lose their competence to paint groups if they only paint singletons. I like this group - it's entirely natural and contemporary and at the same time had throwbacks to Caravaggio which I'm guessing is intentional. Chris Dawson is based in Bermuda and he's not yet got his website completely up and running and his CV is missing. Personally I don't mind the orange at all - and I like the fact it changes colour both in terms of background and fabric and isn't flat. However, the issue for me with this painting is that the quality of the painting in the face didn't carry over into the knitted thing on her head. Invariably those getting selected for the exhibition can paint fabric as well as faces. This is a very quiet unassuming sort of portrait. In fact it seems to resemble the character of the subject. However I liked the fact that it appears to be competently painted and that it seems to have done a good job of both the face and hands. I'm not surprised it made it past digital selection. There's a bit of a discontinuity in lighting but it's something I noticed after a little while rather than it jumped out at me (as happened with some of those that did not make it). Unfortunately Jonathan does not have a website - which I think he ought to address as a priority if he wants to display and market his art with serious intent - which I think he should. I like triptychs a lot. I especially like triptychs of paintings of a head from different perspectives - and that's because I do them too! Frances trained with the Charles H Cecil studios in Florence and the classical training is evident in her work. 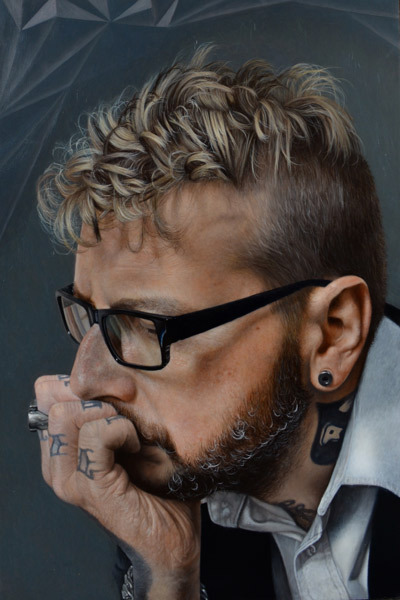 She has previously been selected for the BP Portrait Award and was selected in 2012 and has exhibited on a regular basis with the Royal Society of Portrait Painters. She's also had solo shows with Bonhams in Edinburgh. I'm thinking that maybe the overall coloration of these portraits (dark brown against dark grey) didn't do it any favours when in competition with others in the context of this particular competition. I'm also wondering if maybe the background wasn't entirely neutral that might also have helped. Of course I don't know for sure - but that was my first reaction. Hayley Hasler lives in the USA and probably isn't aware that the very first thing I thought of when I saw this portrait was the image that won the Taylor Wessing Photographic Portrait Prize in 2011! However this is one of those portraits where I'm very distracted by the lighting and the background. The background really fights for attention but it's main sin in my eyes is that it is too flat. The it is lit doesn't seem to bear any relation to the lighting on the subject and her dress - and I assume was painted in isolation. I'm also not quite sure what happened half way down the skirt. Interestingly almost all the ones I picked were done by experienced painters. The level of competence and innovation varied between the artists - but on the whole these were clearly the top ten of those submitted. In terms of those that were submitted but didn't make it into my top ten I suspect some of my observations are probably applicable to other entries. You need to be able to paint fabric. Whether or not you get selected to paint commissions may depend on how well you paint fabric as well paint faces. Modulation of tones is important if you're going for realism. You only see Titanium white in photos not real life. 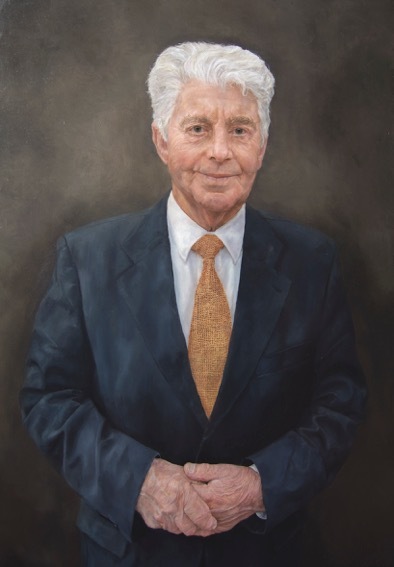 Don't even think about putting in for the BP Portrait award before you've got your website sorted! 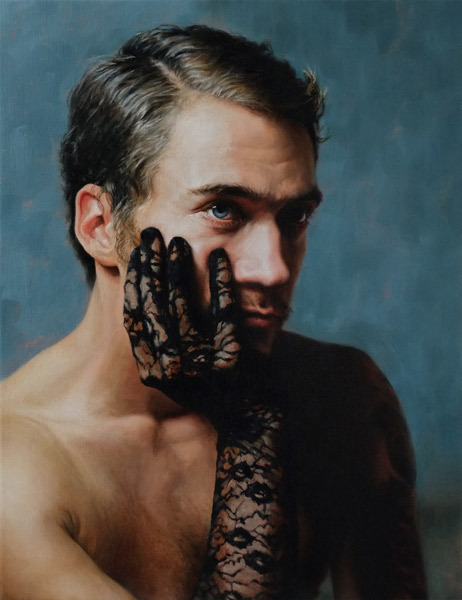 Brits lose out in BP Portrait Award 2015 - BP Portrait Award 2015: Analysis of the number of entries and the number of selected artists - between UK and international artists. Video Interview with Winner of the BP Portrait Award 2015 - My video interview with Matan Ben Cnaan. 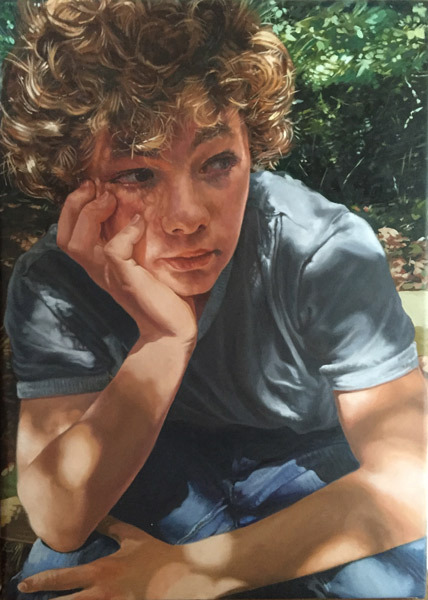 Michael Gaskell (2nd Prize BP Portrait 2015) - a video interview - the most consistent second prizewinner never to win! BP Portrait 2015 - Artists with their paintings Some of the artists in the BP Portrait - with their paintings. 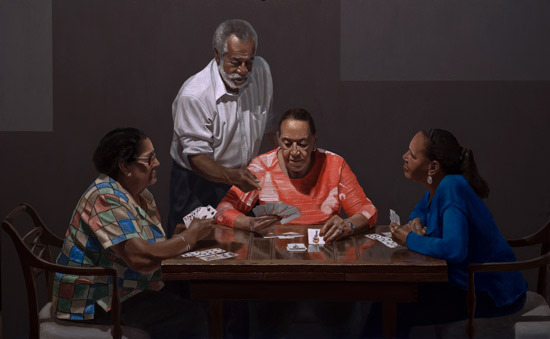 Video of Exhibition: BP Portrait Award Exhibition 2015 - video and analysis - Video of BP Portrait Award 2015 Exhibition and in-depth analysis of three portrait factors - size, type and number. Hi Katherine, thank you for including my painting in your top ten and thanks for your positive comments.